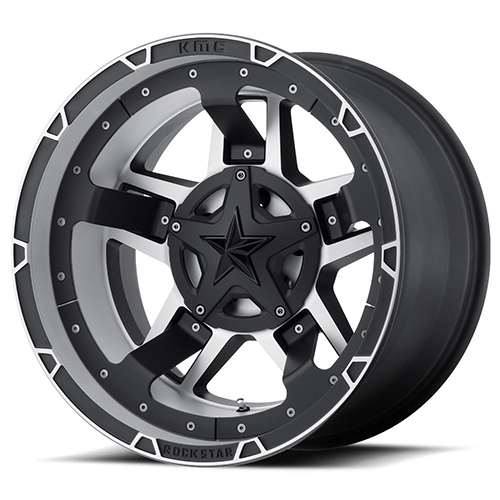 If you are looking to purchase the Rockstar by KMC Wheels XD827 Rockstar 3 Matte Black Machined With Black Accents 17x9 6x135 6x139.7 -12 offset 106.25 hub wheels, All Star Motorsports is the place to be! We offer a wide selection of sizes and finishes for the Rockstar by KMC Wheels XD827 Rockstar 3 Matte Black Machined With Black Accents 17x9 6x135 6x139.7 -12 offset 106.25 hub wheels which are high quality and are made to fit your vehicle. Let our experienced fitment experts guide you in purchasing the best fitment possible for your vehicle.